We love these lamps. 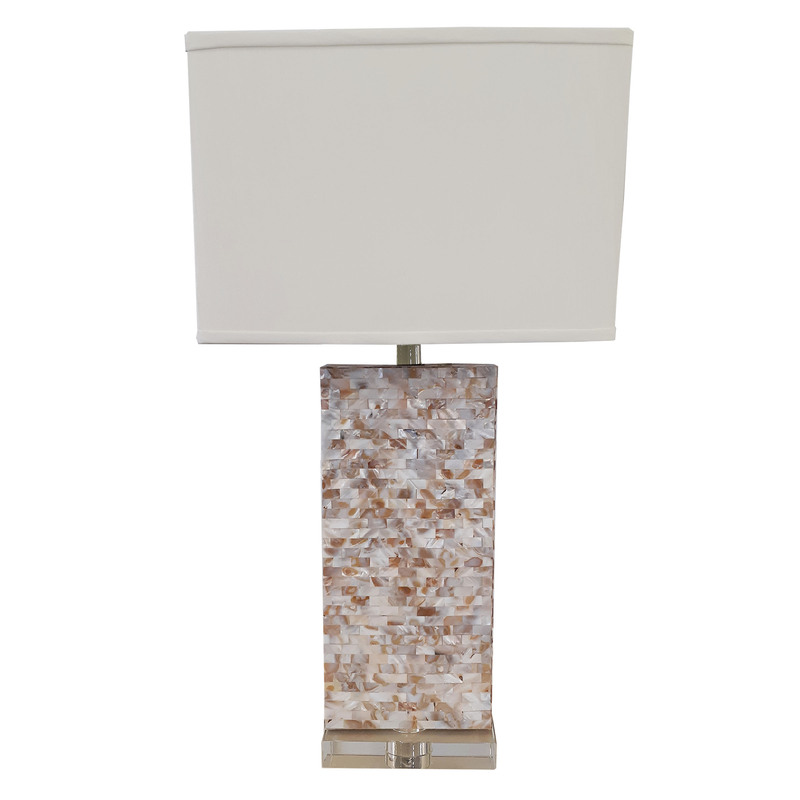 The mother of pearl base adds some shine, texture and life to any space. Neutral, easy to work with and beautiful. They are the perfect lamps. 15" x 10" x 30.5"